The Italian Interior Minister Matteo Salvini said he won't sit and watch if there are some parties using war to gain benefits from Libya. 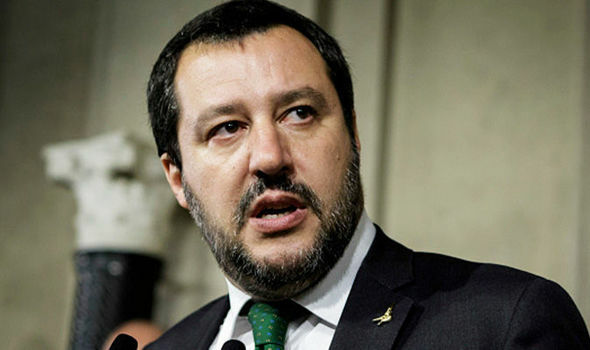 Salvini's remarks came Thursday in response to news about France's support for Khalifa Haftar in his attack on Tripoli. He added that it's a matter of hours for Italy to know whether France is backing one of the fighting sides in Libya, saying he is being updated about the shelling, attacks on airports and the perils faced by Italian workers in Libya. "If there are some parties trying to use games with us, then they have chosen the wrong government and the wrong minister." Salvini remarked. Diplomatic sources told Reuters Wednesday that France blocked a European Union's statement that demands Khalifa Haftar stop his offensive on Tripoli immediately. The sources added that the proposed statement would have assured that Haftar's attack endangers civilian lives. The France-blocked EU statement says also that the attack on Tripoli hinders the UN-led political process. The sources told Reuters that the EU will try to word a new text that would be approved by all member states.